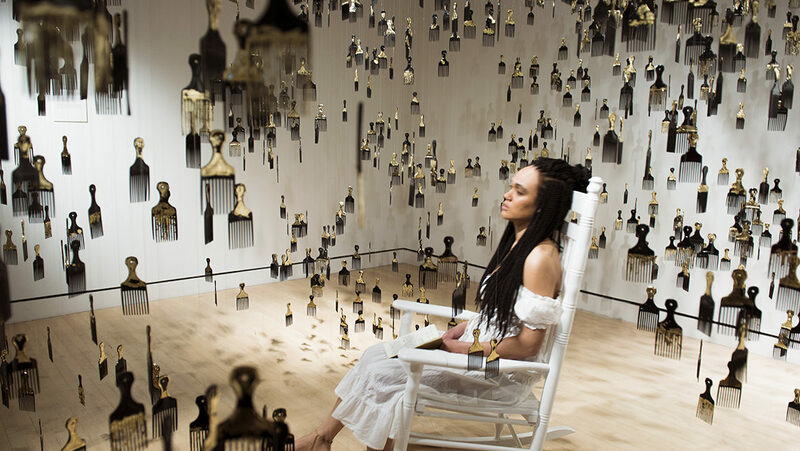 Rockland, Maine, January 17, 2018 — The Center for Maine Contemporary Art (CMCA) invites the public to join artist Eleanor Kipping for a performance in conjunction with her installation, Strange Fruit, on view in the CMCA Biennial. The performance will take place on Sunday, January 27, at 3pm. The event is free to CMCA members, others with admission. Image: Artist Eleanor Kipping performs her piece, Strange Fruit.